4DSOUND is having another showcase with Stimming. On the 11th of April the German artist will have two performances at the 4DSOUND studio, located at the legendary Elementenstraat. This time he will leave his laptop at home. There is quite some explanation to do if you’ve never heard of 4DSOUND. It’s a soundsystem, an art installation but at the same time it has to be seen as an instrument. You can say it’s half way between art gallery and club experience. The big idea behind this project is spatial sound, so to have a sound system with which you can put sounds wherever you want to have them in the room. You can describe 4DSOUND as a techno research project but the use is not just limited to electronic music. Paul Oomen, the head of the project, has a background in classical composition theater. Inspired by the writing of Nikolas Tesla he started researching on spatial sound and came up with first ideas for the system. With creative developer Salvador Breed, chief engineer Poul Hollerman and software engineer Luc van Weelden the team was complete and things moved on forward to the first test. Fittingly a piece on Nikolas Tesla, which Oomen describes as a five-hour “experience where opera and techno encounter.” During ADE in 2012 the system was introduced to the broad electronic music audience, when it featured music composed by Belgian techno artist, Peter van Hoesen. Since 4DSOUND operates on a residency system where inivtees have a week to practice. They hosted spatial sound artist such as Vladislav Delay and Raster-Noton but also more popular artist like Max Cooper and last but not least Stimming. The systems consist of 16 cylinders with speakers on three different levels. The speakers are omnidirectional, so the opposite of other speakers who display sound directional to one specific point. 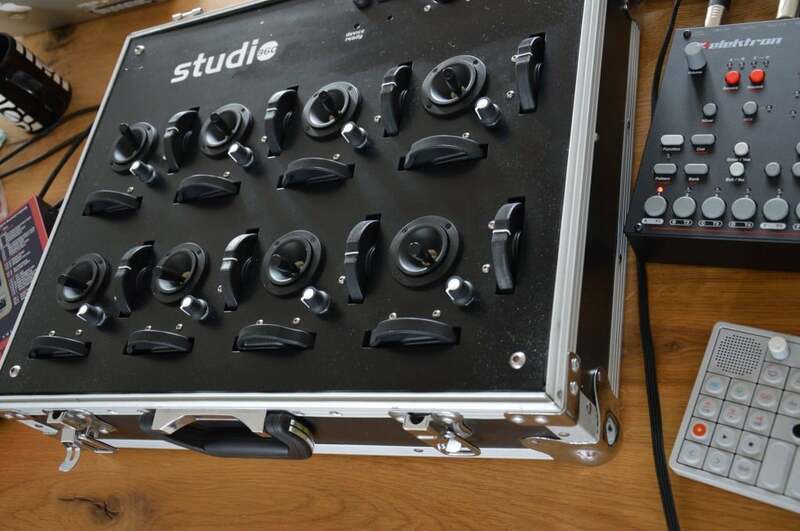 The subs of the system are integrated into the floor, which makes the experience even more intense. It runs on Ableton Max for Live patches, is controlled via a custom iPad Lemur controller and has 3D visualizations so the artist has an overview about the workflow. Because of this specific setup artist need some time to get used to play this ‘instrument’. One of the artist who already had experiences with the system is Stimming. In 2014 he was Artist-in-Residence at the 4DSOUND Studio and developed an analogue-based, improvisational set with entirely original sound material. 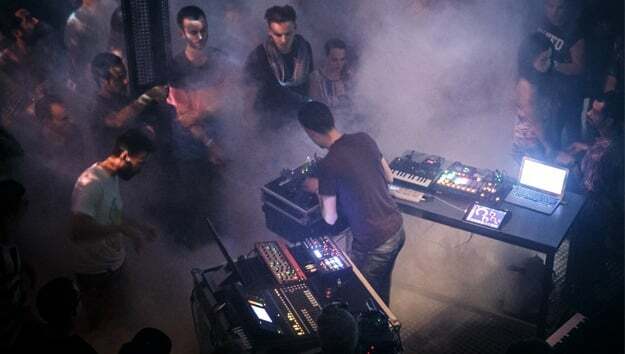 Then, Stimming featured 4DSOUNDs line-up during last year’s ADE Sound Academy, where he performed his show with a new custom-built hardware controller, designed to move his sounds in space – with his hands and was instantly hooked like you can see in the video of his performance. This time he will leave the laptop at home. The DIYnamic artist will perform entirely with instruments, including a Moog Synth, Micro-Brute, Op-1, Nord Lead 02, and an Up-right Piano. He will control the sounds coming from his analog synthesizers and drum machines moving in space. In addition to this Stimming will make use of a self-made controller with the fitting name “Space Control 1”.